American Central Transport wouldn’t be where it is today without the support of our drivers, employees, their families, and the numerous groups and organizations we’ve partnered with over the years. To show our appreciation, we’re proud to give back to the community—in particular, ACT recently teamed up with the ALS Association Mid-America Chapter and Harvesters, a Community Food Network in Kansas City. 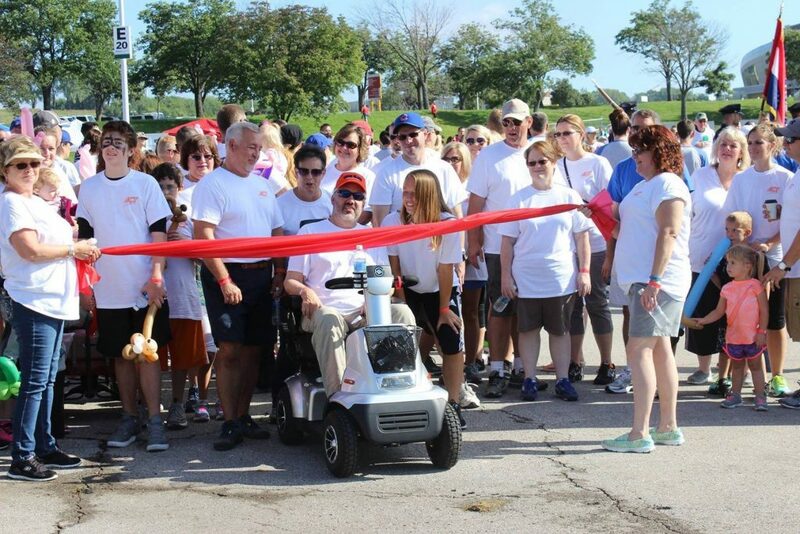 In September 2016, ACT participated in Walk to Defeat ALS®. The one-mile noncompetitive walk was a great opportunity for Team ACT and the community to come together in the fight against ALS. We are pleased to announce that through all efforts in raising funds and awareness for ALS, Team ACT raised $24,355.19 for The ALS Association Mid-America Chapter. All proceeds went to support those battling this disease as well as research to finding a cure. ACT recently donated 1,110 lbs. of food and provided 926 meals to Harvesters, a regional food bank serving a 26-county area of northwestern Missouri and northeastern Kansas. Meal donations are an important source of their most needed items, as Harvesters provides food and related household products to more than 620 not-for-profit agencies including emergency food pantries, community kitchens, homeless shelters, children’s homes and others. ACT looks forward to continuing our community involvement efforts and we thank everyone for their support! Learn more about our trucking company at HaulACT.com and see what we’re up to on Facebook.